For Elliott Wave International’s chief commodity analyst Jeffrey Kennedy, the single most important thing for a trader to have is STYLE— and no, we’re not talking business casual versus sporty chic. Trading "style," as in any of the following: top/bottom picker, strictly technical, cyclical, or pattern watcher. 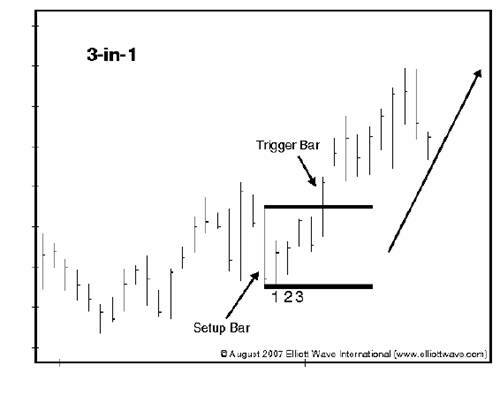 Jeffrey himself is, and always has been, a "trend" trader; meaning: he uses the Wave Principle as his primary tool, along with a few secondary means of select technical studies. Such as: Bar Patterns. And, of all of those, Jeffrey counts one bar pattern in particular as his absolute, all-time favorite: the 3-in-1. 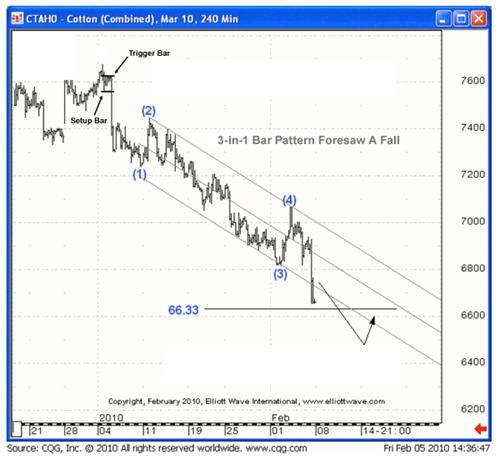 To learn more, read Jeffrey Kennedy’s exclusive, free 15-page report titled "How To Use Bar Patterns To Spot Trade Set-ups," where he shows you 6 bar patterns, his personal favorites.